Magneto, one of the most powerful mutants and villains in the X-Men comicbooks. Magneto has the power to telepathically bend and control metal! 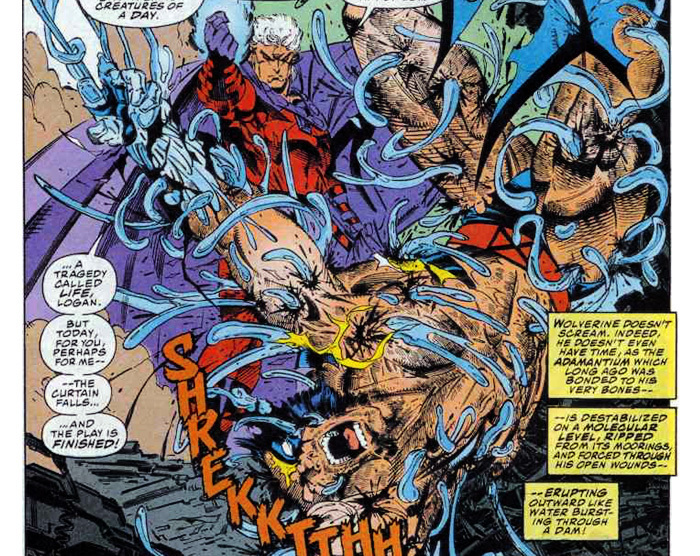 One of the more interesting things that make Wolverine so cool is that his skeleton has been coated/bound with adamantium (a fictitious metal in the Marvel comics that is unbreakable)! 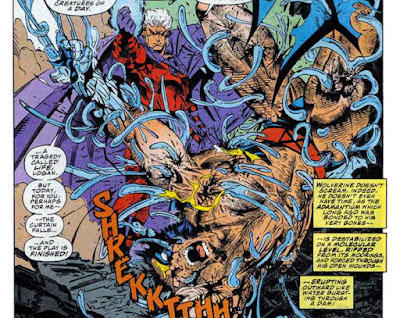 In an epic battle in comic book history, Magneto rips the adamantium from Wolverine's skeleton, oozing it through any open wounds that were already inflicted from their battle... In this workout, named after Magneto, after a couple of rounds, it might feel as if something is pulling the iron right out of your hands, but don't let go! !